Yesterday I was pushing my three-year-old and a one-year-old home from gan on a particularly slush-colored-sky afternoon when I looked up and saw the olive truck gliding along the street. “Look at that, Tsofia! What beautiful olives!” I called out pointing to the truck. I’ve never been such a big olive fan. I mean, I’ll munch on one or two if we’re having a particularly sparse butter and cottage cheese with yesterday-was-the-expiration-date seuda shlishit. 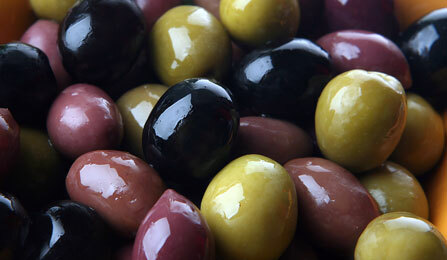 But suddenly, looking up at that photo, I was filled with intense yearning for OLIVES– green ones, brown ones, black ones. And it occurred to me how silly it was– how with a really fancy camera and professional lighting you can make ANYTHING look like a million dollars. Even an olive! But then it occurred to me. That the olive is not humdrum like celery or spinach or a turnip. An olive is a very holy thing! An olive branch is the symbol of peace that signaled the end of the Flood’s destruction. The olive is one of the 7 species of the Land of Israel. Olive oil lit up the Holy Temple and played a starring role in Chanukah’s miracle. This gorgeous photo was not deceptive advertising. It was simply bringing out the olive’s inner beauty and even sanctity that I otherwise tend to overlook. 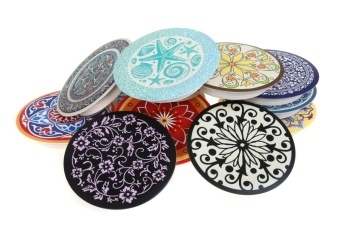 I stood there for a few seconds steaming up the window trying to figure out what these were– when I got it…These were exquisitely-designed covers for the sewer hole that all Israeli homes have to dispose of the dirty water after we sponja our floors. Gorgeous, but ridiculous! A sewer hole is a sewer hole is a sewer hole. How silly and utterly unnecessary. I imagined this heart-strewn sewer-hole cover in my kitchen and thought about how it could serve as a reminder in my sticky-floored, overcrowded, miniature kitchen that the food I prepare and serve there is not only nourishing my children’s bodies. It is an expression of how much I love and care for them. So I bought it and every single time I see my world’s most beautiful sewer-hole cover it reminds me of all my love hidden amongst the pots and cans and sticky floors– from my heart to their’s. Btw, my kids all LOVE olives and we always joke that despite being in America, among their first words are hebrew — olives sound like “alefs”, which is what we call them intentionally now, lol. I love this post a true indulgence of the best kind. I also loved the point about the healthy olives. There are huge marketing campaigns for processed food but the healthiest food rarely get the press and photos hoots they deserve. I awhile ago i made it a point not to look for recipes for desserts online. I look for healthy recipes at cooking light or 100 days of whole foods, and I just feel more excited consistenky about my healthy food. In fact, I got a juicer from my husband for my birthday and I was excited like it had been diamonds. Why? Because I had been invesitgaing juicing and different combinations. We want what we see, that what shomrei einayim is all about in every context. 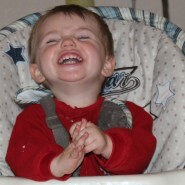 I found this post very, very helpful- thank you, Chana jenny! Hey why do you have to wait until you buy a home? How expensive can a little sewer cover be? Enhance your life now, be in the moment, don’t wait for another time that is yet to come. Go out and buy one soon and bring color into your humble home.BTW,renters have a life too!! btw, the olives in the shuk, are absolutely gorgeous-so many kinds, with added pieces of garlic and red pepper, no photo shop there. Re the colorful sewer covers…isn’t it our job to elevate the mundane,even with a cover for humble little sewers, because with out them we would be in big trouble! 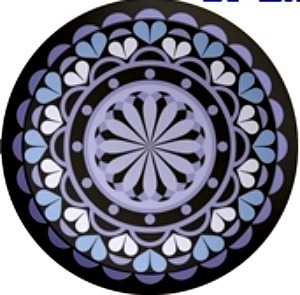 Why I am in the middle of making a mosaic of patterned metal drain covers in all sizes (the ones that we use for the kitchen/bathroom sinks) – no end to the possibilities. Just walk around and be amazed at all the patterns, colors and forms, natural and otherwise and see what serendipitous discoveries you can find to enhance your day!! Sometimes it’s the little, ridiculous things that make us smile. How can that ever be a bad thing? Loved this article and all your writings. Is that a photo of your son? If yes, he is delicious! !